First it was given an acronym, then it was assigned a name. 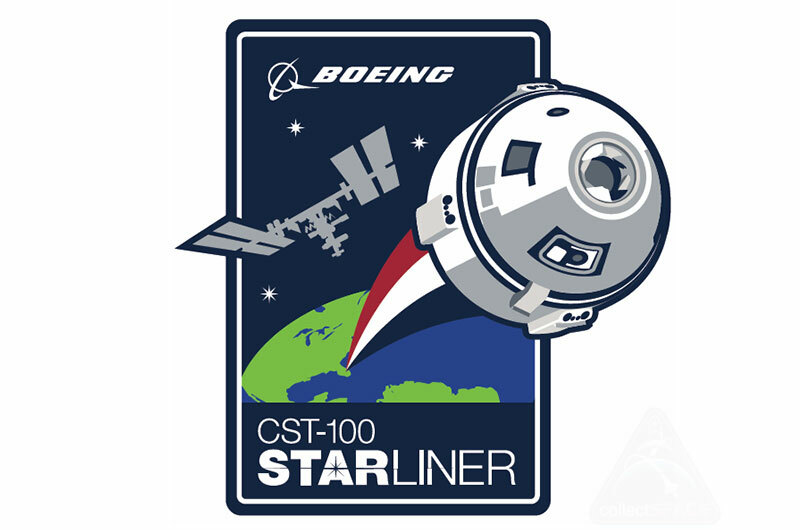 Now Boeing's CST-100 Starliner crewed spacecraft has its own program patch. 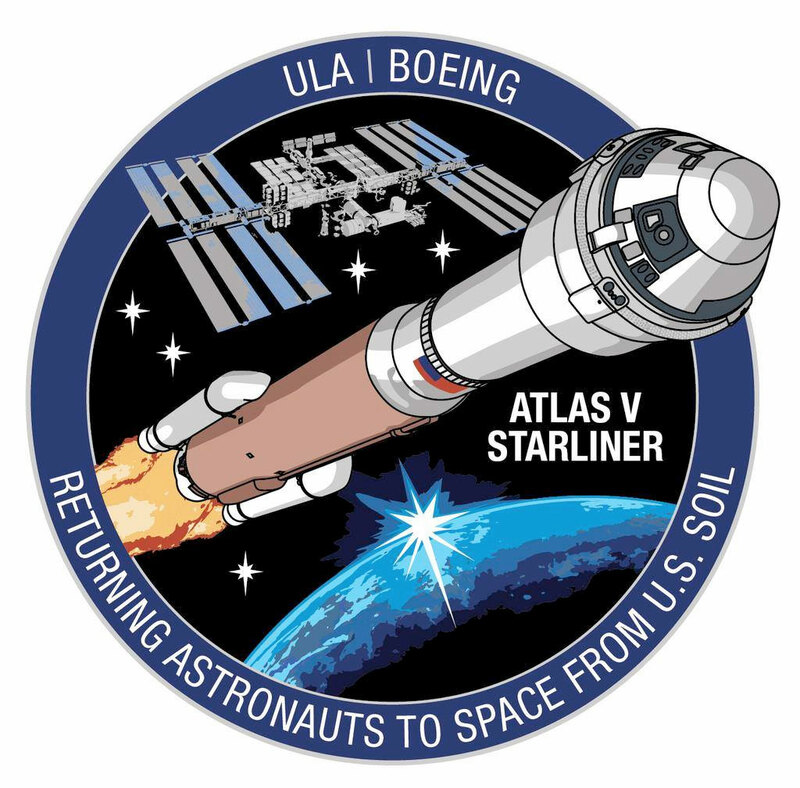 The commercial space capsule, which Boeing is producing to transport NASA astronauts to and from the International Space Station, features prominently on the new logo. 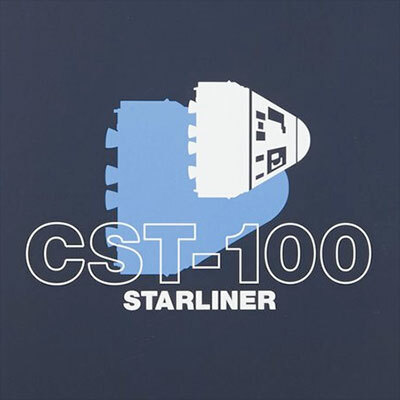 The rectangular insignia, which replaces a circular emblem that was used before the Boeing crew space transportation (CST) system was formally christened in September 2015, now includes the Starliner moniker. To answer an anticipated question, embroidered patches are planned but have not been produced yet. 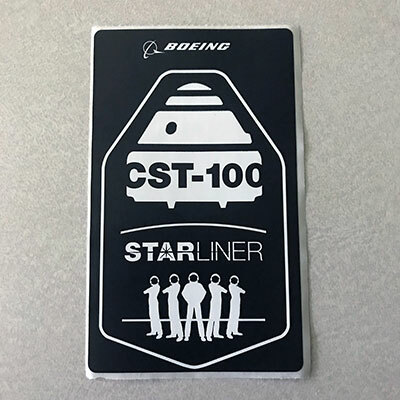 Boeing is working to make this emblem available to the public; details to follow. 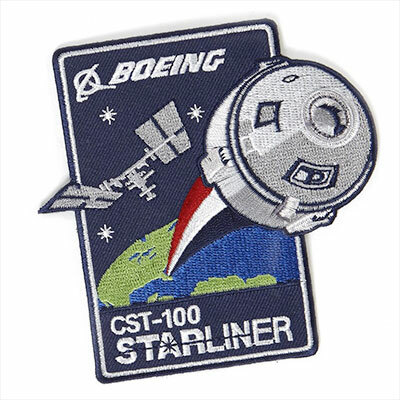 The CST-100 Starliner patch, and a selection of other logo products and apparel, is now available from The Boeing Store. 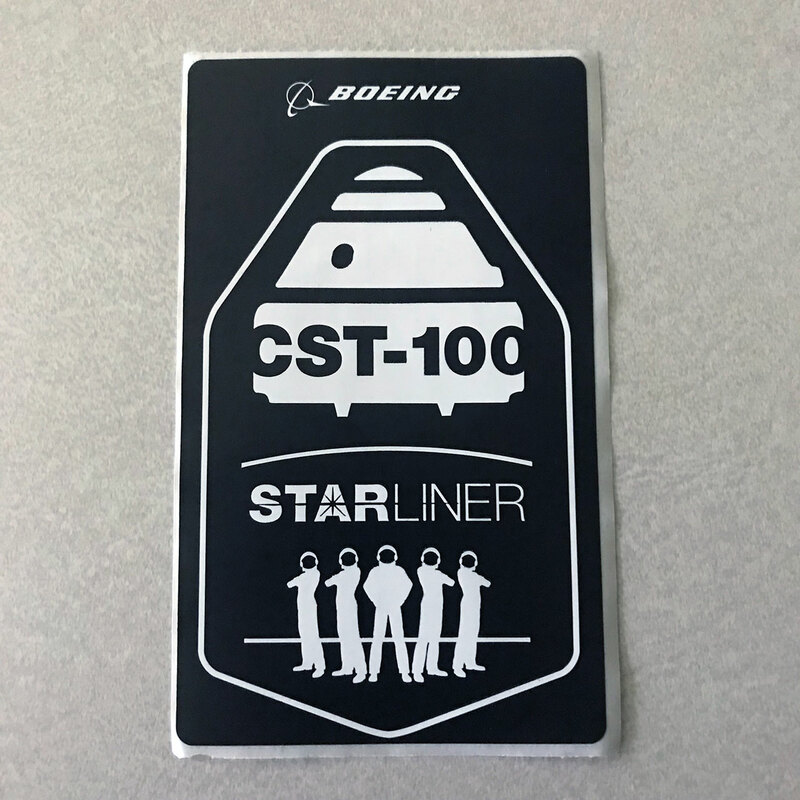 A friend of mine at Boeing got me some of the stickers for this design, and one of the lapel pins. The stickers look great, but they are about three-quarters of the size of a normal NASA mission patch sticker. 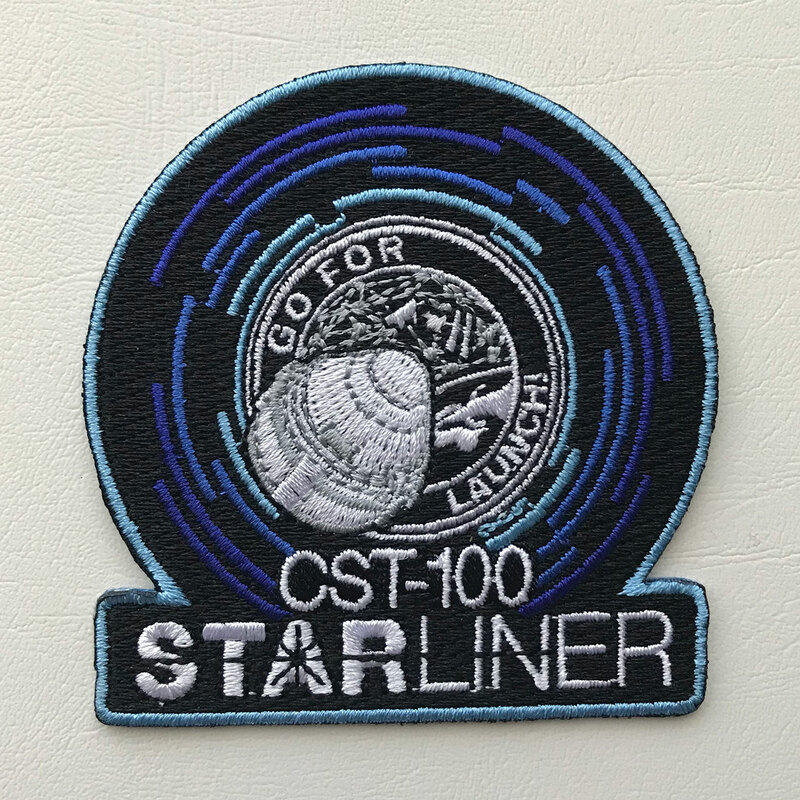 Hopefully there are plans to sell patches. I've already looked at both ULA and Boeing online stores and nothing yet. Dear American friends! I wish you this patch becomes a reality ASAP! Per a contact at Boeing, the Atlas V Starliner patch was jointly developed by United Launch Alliance (ULA) and Boeing and only recently approved by both companies. 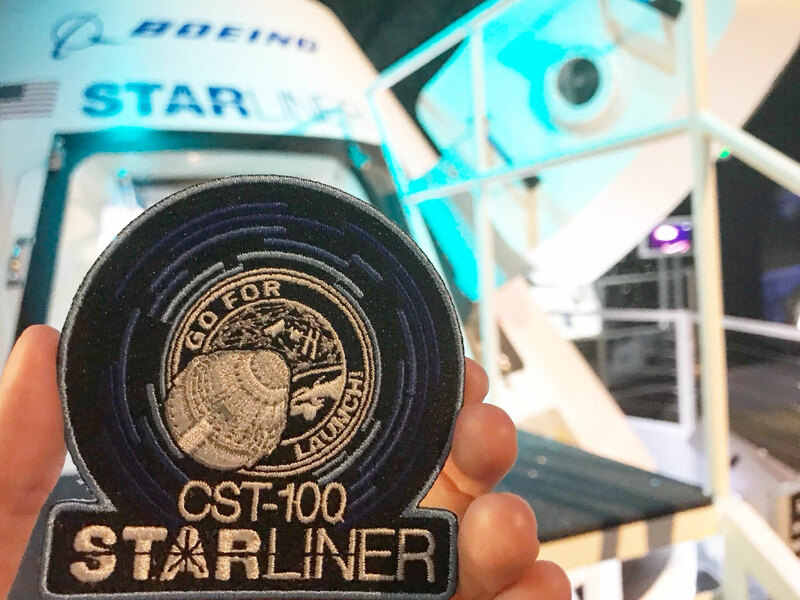 The patches made their debut as swag for attendees at the 33rd Space Symposium in Colorado Springs last week. No word yet if the patch will be made wider available to the public. In this patch, the dawn of a new era in commercial human spaceflight is shown as the sun breaks through the horizon of the Earth from the hallowed grounds of Florida's Space Coast. Prominently displayed, the United Launch Alliance (ULA) Atlas V rocket carrying Boeing's CST-100 Starliner spacecraft launches forward as if to announce its arrival as humanity’s new commercial space transportation system, driving us toward the International Space Station now and other low-Earth orbit destinations in the future. The five stars represent our commitment to safety and mission success, acknowledging the four NASA Commercial Crew Program astronauts and one Boeing test pilot who are helping us develop this new crew launch capability for the U.S. The five stars also embody the future of commercial space travel, with four Starliner seats designated for NASA or NASA-sponsored astronauts as they embark on long-duration missions aboard the space station and a fifth seat that perhaps beckons a tourist, scientist or international passenger to come fly with us. These stars send a message that ULA and Boeing understand the magnitude of trust that our customers place in us as we return humans to space from U.S. soil. The Boeing Store today introduced a new collection of apparel and accessories featuring 14 current Boeing programs with "bold shadow graphics," including the CST-100 Starliner. 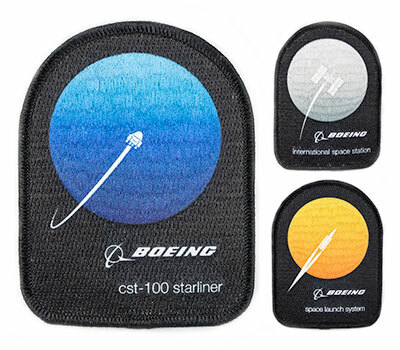 The products include a badge lanyard, a mousepad, key chain, lapel pin, notebook, luggage tag, cap and t-shirt. A patch is not included in the line. 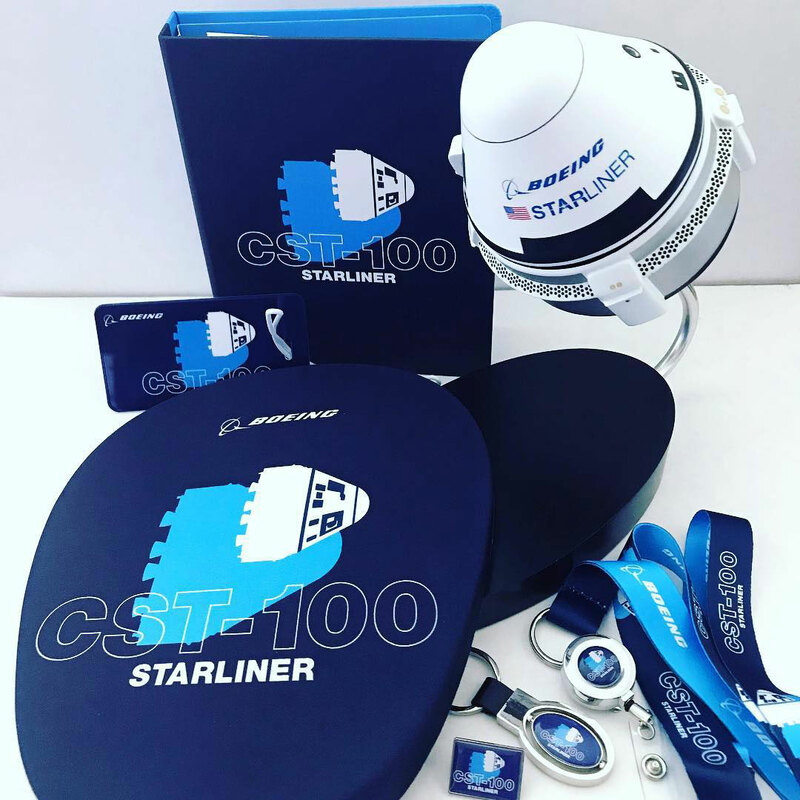 Here's a look at the new CST-100 Starliner products (less the cap and t-shirt) alongside Daron's desktop model of the spacecraft. 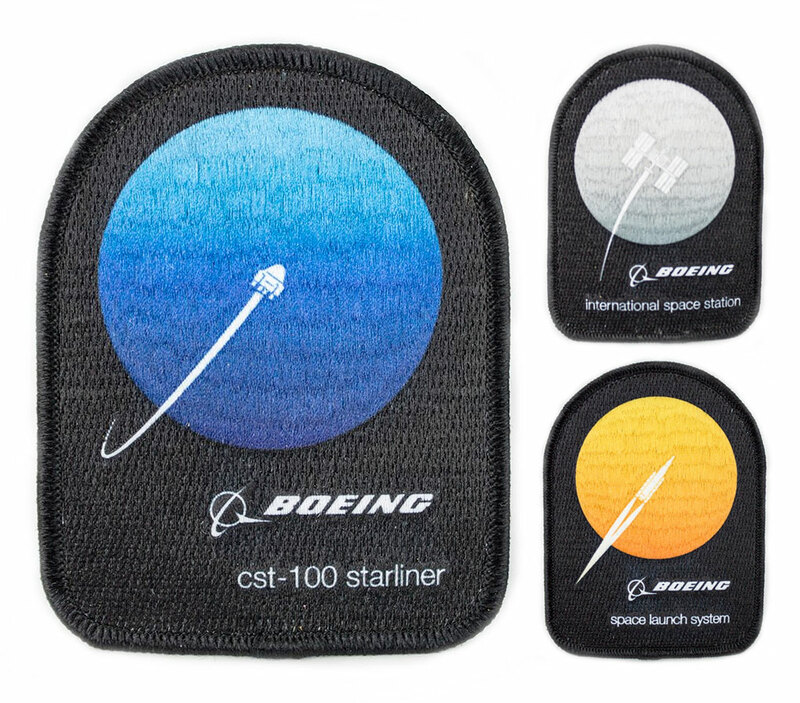 Have you seen the new @BoeingSpace CST-100 Starliner patches yet? You can find them in our recently renovated Space Shop! 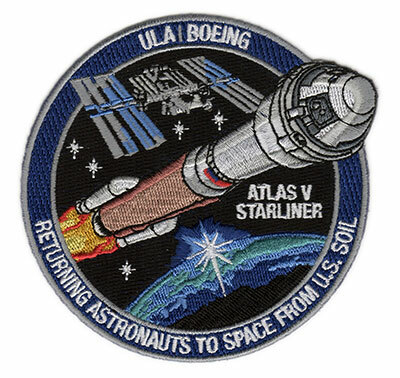 The patch is not (yet) available via the Visitor Complex Space Shop's online store. 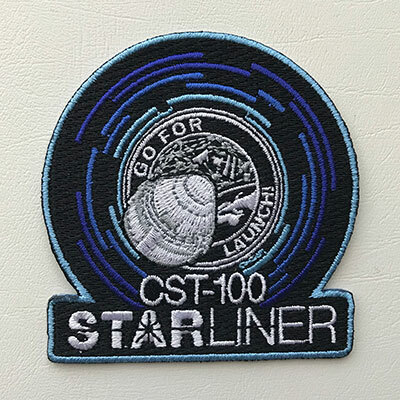 Has anyone seen the Go for Launch patch for sale? It is for sale at the Kennedy Space Center Visitor Complex (though not through its online shop). I ordered the patch "Go For Launch" through the Kennedy Space Center Visitor Complex gift shop. The patch (item number is: 651833) is $6.99. I had to use the Special Order Item SKU through the store's online shop. I highly recommend calling them prior to ordering to verify if it's still in stock as well as if any other ordering specifics changed. 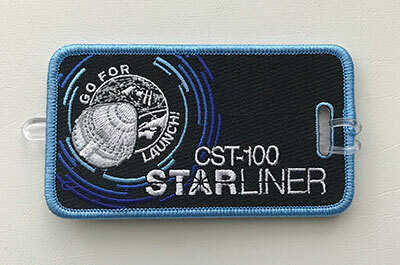 Has anyone got a source for the 'Go For Launch' luggage tag patch? I've seen them on eBay for a rather steep $25 and they won't ship to the UK. If anyone is looking to order one, and could order an extra one to be posted to the UK, I'd appreciate it. 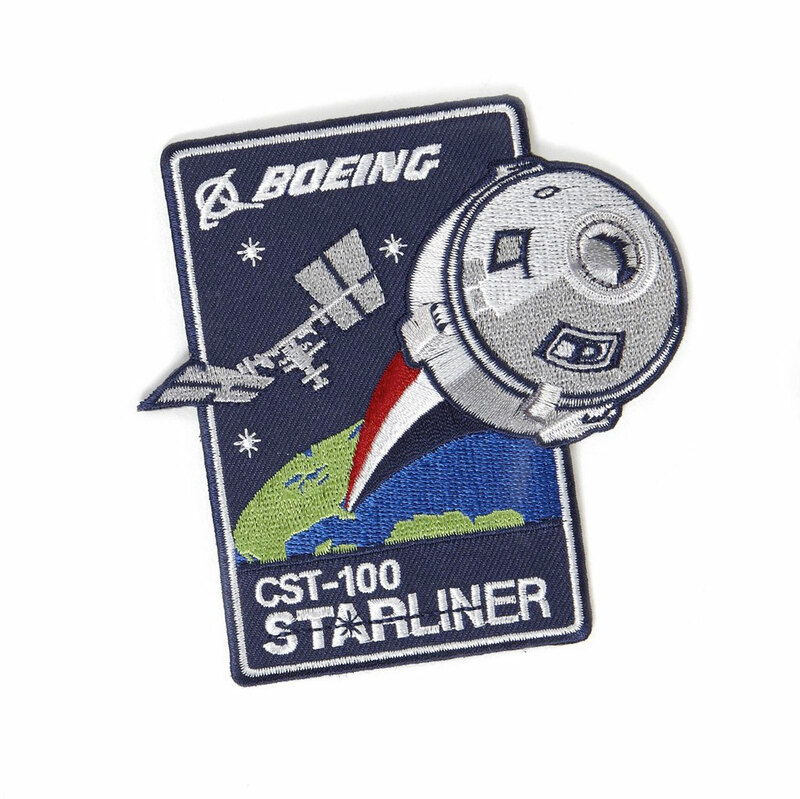 The Boeing Store has a new CST-100 Starliner patch available, part of a "Path to Mars" series that also includes patches and apparel for the International Space Station and Space Launch System.